This past weekend we saw two close games which could have gone either way, and two game in which one team definitely didn’t look like they remembered that they even had a game this past weekend. 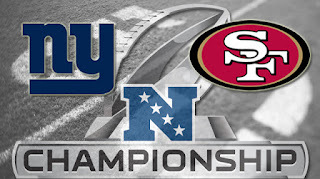 Congrats to the 49ers, Patriots, Ravens, and Giants for advancing to the Championship round of the playoffs. Honestly looking at all possible Super Bowl match ups it is safe to say Super Bowl XLVI is going to have a great story line going in. If the Giants make it, it will insure a rematch of either the 2000 or 2007 Super Bowls which will come with plenty of flashbacks and motivated teams. Not sure if any of the Giants are left from 2000, but I know Ray Lewis would love the memories he had from that game. If the 49ers make it we could see another strength verse strength games in which we will see the 49er defense face off against Tom Brady and company, or we get the Harbaugh Brothers in a rematch in the biggest game of the year. Honestly that might be the least entertaining match up and might just end up looking like this year’s college BCS Championship game. Of course it seems like the match up everyone wants that doesn’t have a dog in this race is the rematch of the 2007 Super Bowl. Some might think it’s a good idea to face your demons head on, but as a Packer fan that wanted nothing to do with a rematch with the Giants in Green Bay this week I believe all Patriot fans are rooting for the 49ers this week. Media favorite to win it all has to be the New York Giants who look very similar to both the 2007 Giants and 2010 Packers. The last interesting fact is that in the last ten years there have been ten different teams to represent the NFC. If the 49ers win against the Giants this will continue that streak, also in that same window only four AFC teams have made it to the final game and in the last eight years only the big three have made it (Patriots, Steelers, and Colts). 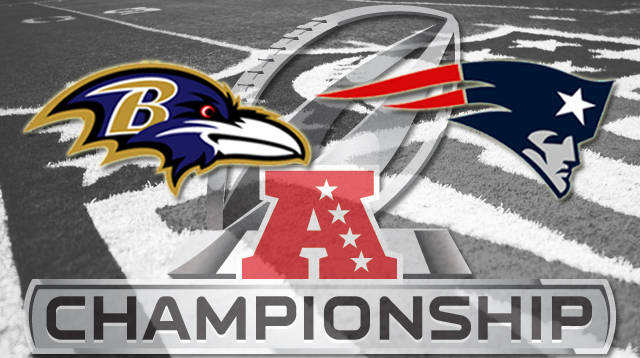 The Patriots can continue this streak if they are able to make it past the Ravens. In some way history will repeat itself, but honestly it’s anyone’s guess which history that will be. Giants are hot and in Vegas you ride that hot hand, I know the last time New York was in San Francisco they blew a large lead and watch the seconds tick away at a failed field goal attempt. There is one big difference from then and now and that is the Giants coaching staff, which preaches discipline every day. I do not see many mistakes happening in this game, and all turnovers instead will be earns by hard work and hard hits. There will be ups and downs for both teams and I expect a roller coaster game as we saw in the 49ers and Saints game last week. In the end Giants’ experience pulls them through into this year’s Super Bowl. I have been flip flopping all day over this pick and honestly I think it is going to be really close. The reason I am going with the Patriots is because the Ravens did not show me enough last week to convince me to stay with my original Super Bowl pick (see Wild Card post). Also Ravens have only four losses and all happened to be on the road, which means they were only .500 on the road this year. I believe many points will be scored and that Tom Brady might need to have one of those last minute drives that end with a clutch field goal. Will be rooting for neither of the NFC teams after watching my Packers fail to put up a fight, but will be rooting for the Patriots because of my brother and brother in-law. Next four days there will be a post each day about a different team that is left in this year’s playoffs with further details and keys to winning it all.